Howdy Jerks! Do you like Pasta? Is red sauce your favorite? If so, this recipe might just be for you! I like to consider this my all-purpose pasta sauce, because it's simple, fresh, delicious, and can be doctored up to work with many different meals. So first up here's the ingredients, then I'll get in to the instructions, and lastly I have a few nifty ideas you can use this sauce for. 2 tbsp. butter - room temp. Salt & Pepper to preference. We're using a stock pot for this one, preferrably one with a wide bottom. I prefer them all with a wide bottom (heh.) Add enough extra virgin olive oil to coat the bottom of the pan. Heat your oil over medium high, and while it's getting hot, chop your Lg. sweet onion to a medium chop. Once your oil is all nice and hot, go ahead and toss the chopped onion in. We're gonna let these onions cook down and get all brown and delicious. You want em to look almost see through, and as soon as they are, dump in your two cans of DICED tomatoes! Drop your heat down to about medium, and give everything a good stir. We're gonna let this cook down for about 6-7 minutes or so. While the diced tomatoes and onions are reducing down, go ahead and chop up your garlic cloves. We don't want the chunks TOO big, but we don't want them minced either. Somewhere in between is good. By now the tomatoes and onions should be cooked down to where there is little liquid left in the pot. This is where we're going to add the 1/2 cup of red wine. As it simmers, use your spoon to scrape the bottom of the pan making sure to get all the good bit loose and in to the mixture. Let this simmer for another 2-3 minutes, and then we're going to slowly pour in our 2 cans of tomato sauce. Next add the room temperature butter. Give everything a good stir so all elements are mixed together. Let this simmer for about 5 minutes, and then add dried herbs, salt/pepper, and the garlic. Stir, cover, simmer on medium low for about 15-20 minutes and it should be good to go. 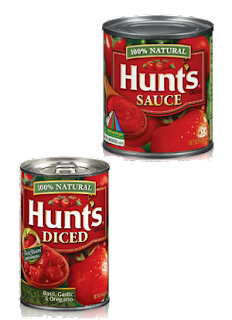 As for some of the other variations of this sauce, above I listed a few optional ingredients. To make a good meat sauce, just add ground beef or meatballs. If you're like me, you like a kick to your food, so I stir in a couple tablespoons of Chinese Hot sauce and a couple shakes of red pepper flakes. This sauce is really great for Chicken Cacciatore is you use the spicy upgrades. So that's my homemade pasta sauce. Go makes some and let me know how you like it! Did you know that you can shorten your long links with Shortest and make money for every click on your short links.